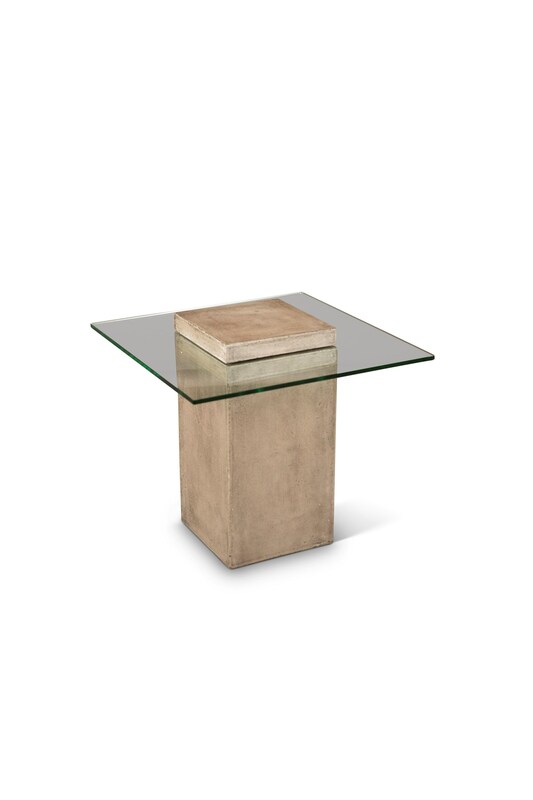 Built with a concrete base and glass top, this end table exudes modern industrial style. The unique, low maintenance materials allow you to use the table indoors or outdoors, as the perfect accompaniment to your contemporary or industrial furniture. Can be used as indoor or outdoor furniture. The Milan End Table by Urbia at C. S. Wo & Sons Hawaii in the Hawaii, Honolulu, Oahu, Hawaiian Islands, Waikiki, Diamond Head, East Honolulu area. Product availability may vary. Contact us for the most current availability on this product. Browse other items in the Milan collection from C. S. Wo & Sons Hawaii in the Hawaii, Honolulu, Oahu, Hawaiian Islands, Waikiki, Diamond Head, East Honolulu area.